The Jordan Brand was pleased with how the people accepted the Air Jordan 2011, which is one of their new models this year. 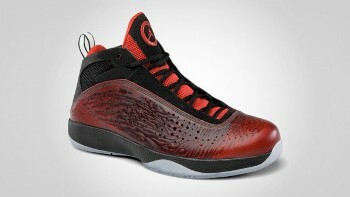 And today, the famous shoe brand is making another impact with the release of a new colourway of their Air Jordan 2011. This recent shoe model from the Jordan Brand will come out in Black/Comet Red colourway, which is said to be inspired the Western Conference team color during this year’s NBA All-Star Game in Los Angeles. Although it did not make enough noise before its release, expect this shoe to gain a lot of attention starting today for it is said to be a “limited edition” of this shoe model. So don’t dare miss this one and we can guarantee that you will be very satisfied.